Thank you to everyone who shared the wonderful Unity at the Mid-line class. Sandra Savine’s teaching was exquisite & gave us all powerful,new options with connecting with ourselves & our clients more deeply & effectively. 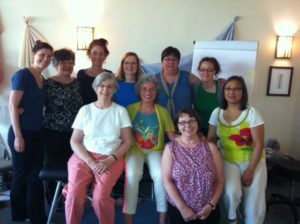 Thank you, Sandra, for the great experience & uplifting information & thanks everyone for being your radiant selves. Summer ZB Classes Starting Soon!